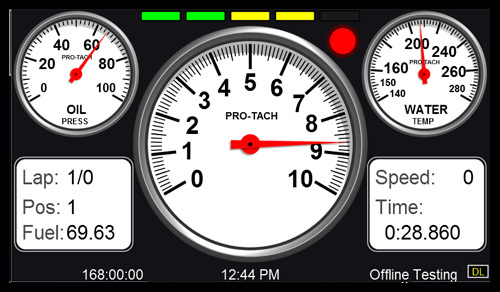 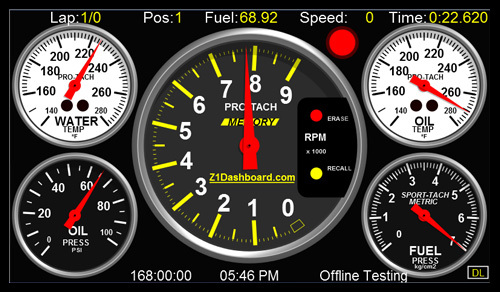 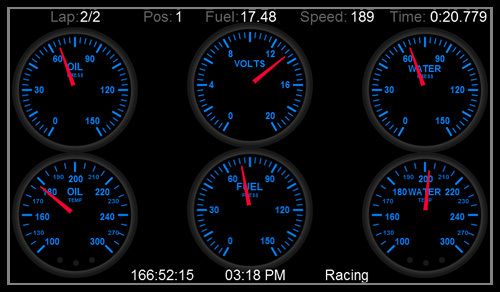 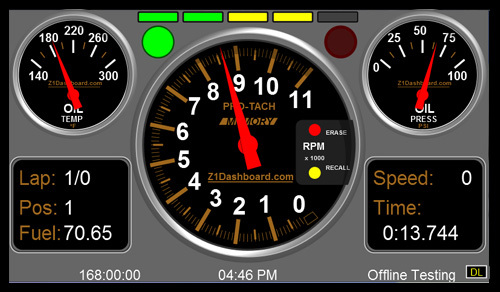 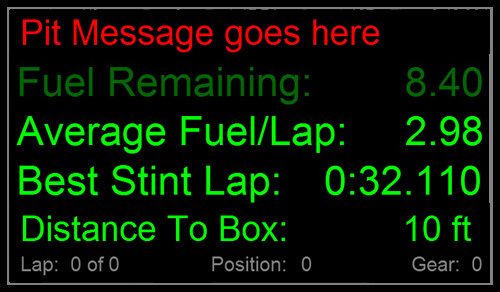 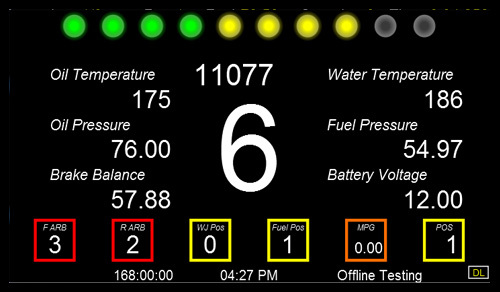 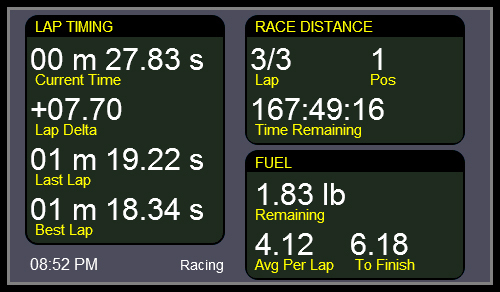 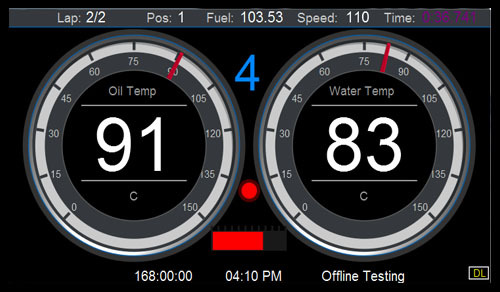 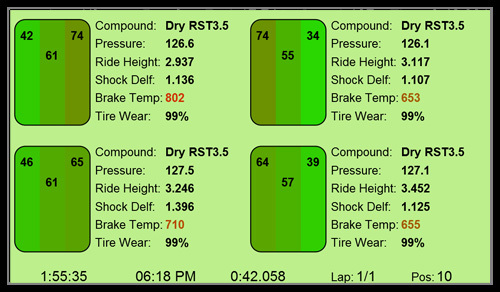 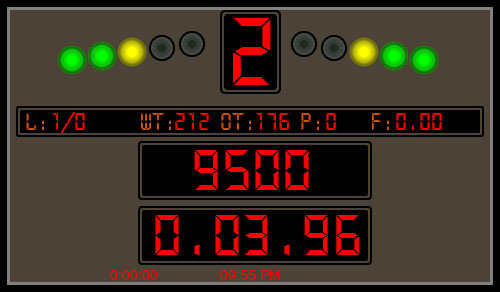 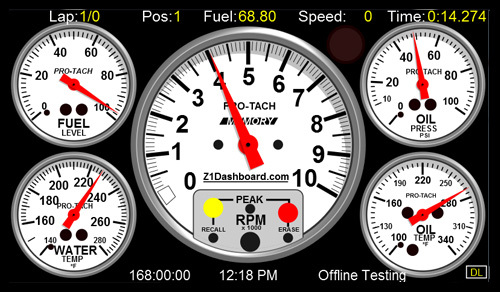 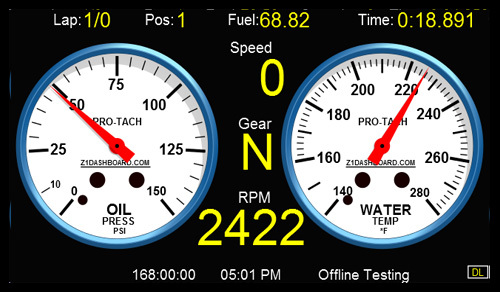 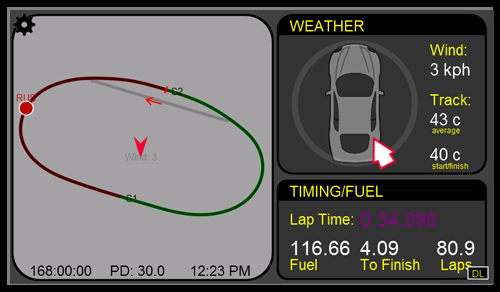 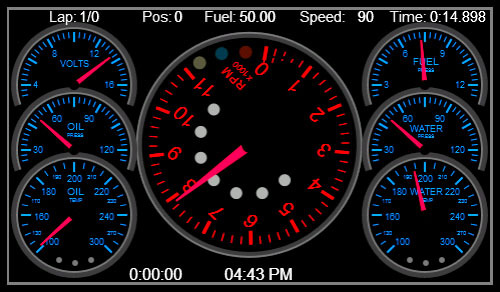 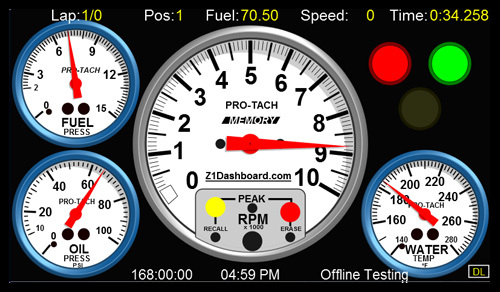 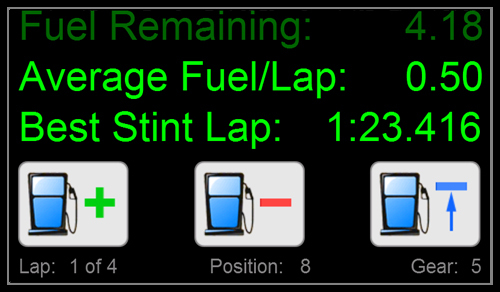 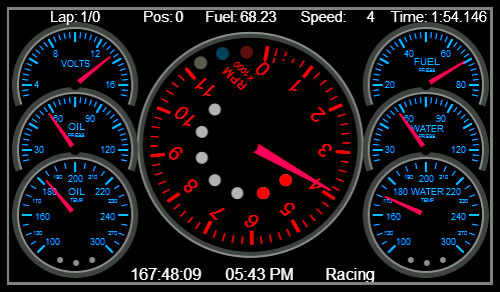 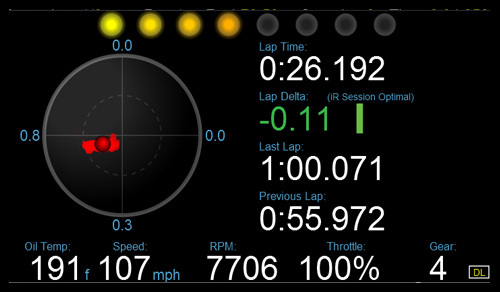 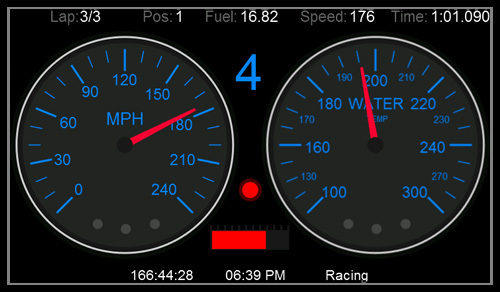 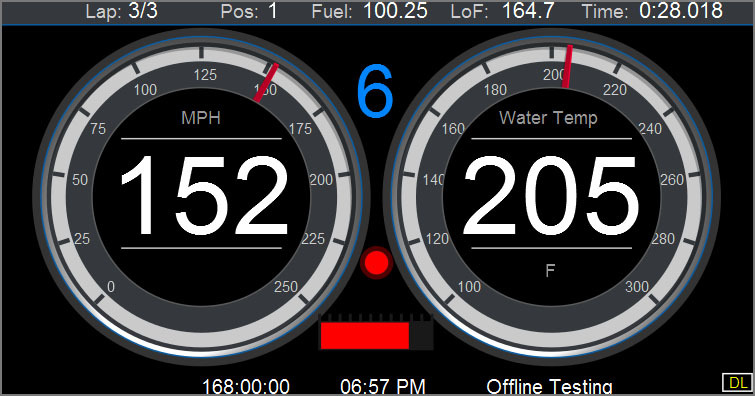 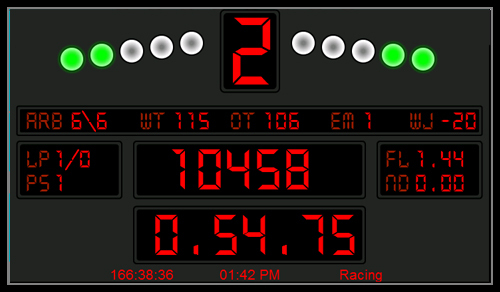 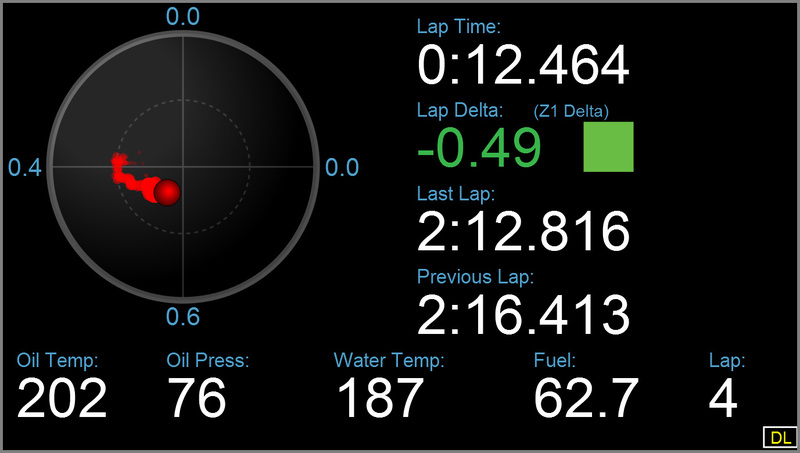 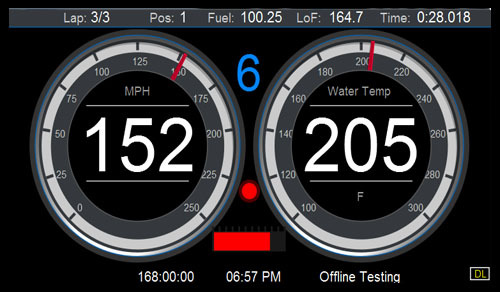 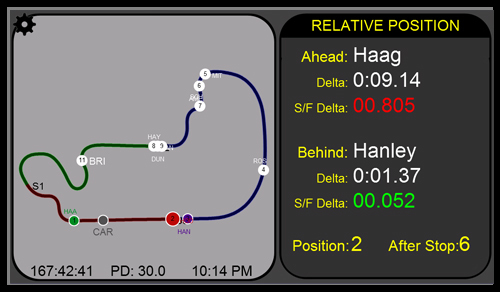 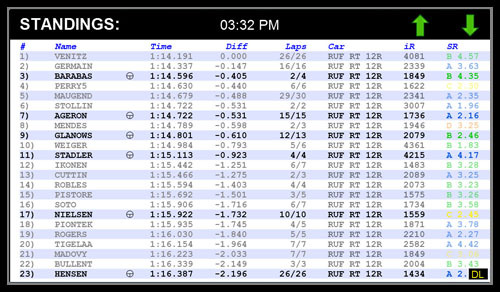 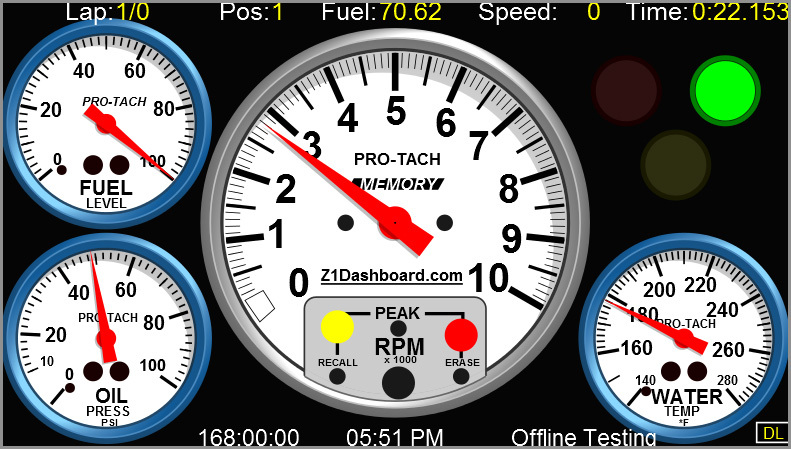 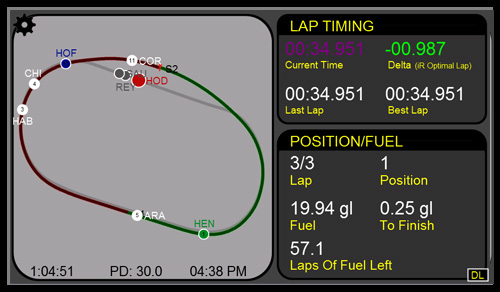 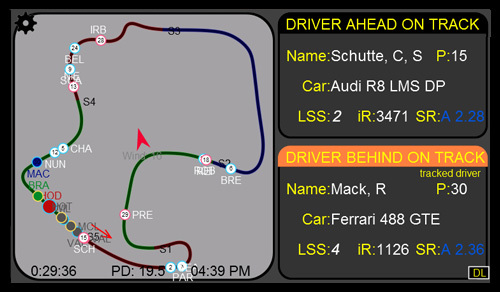 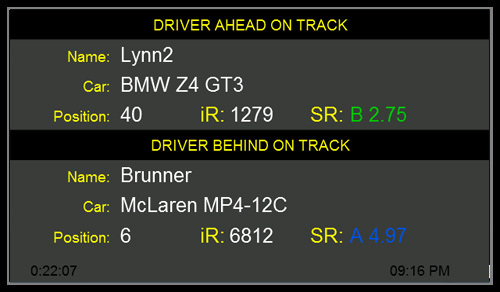 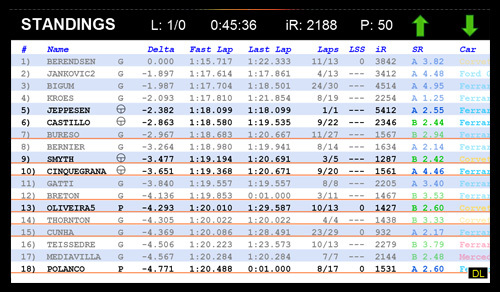 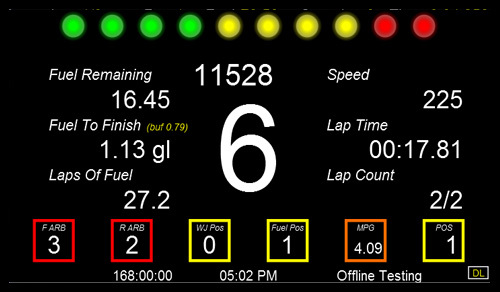 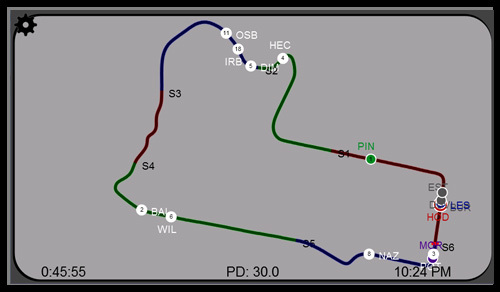 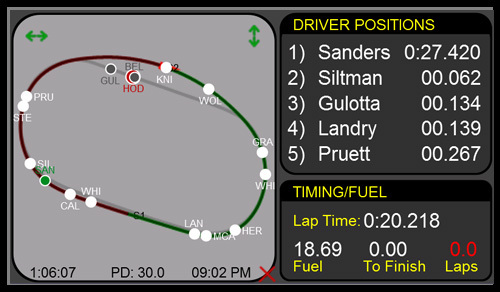 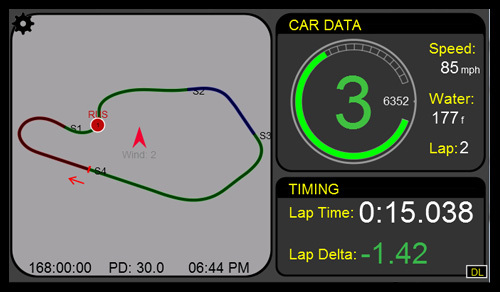 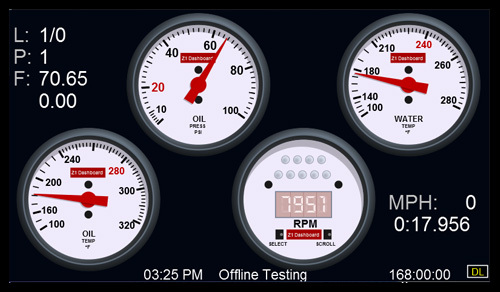 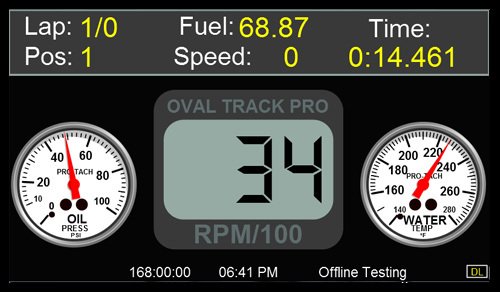 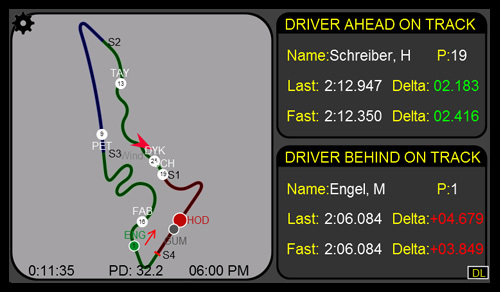 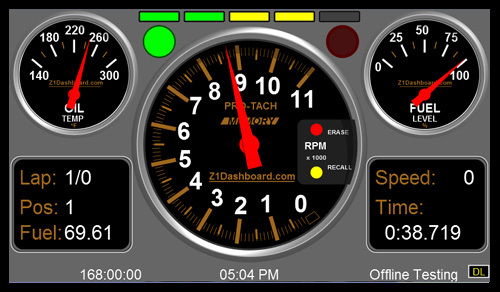 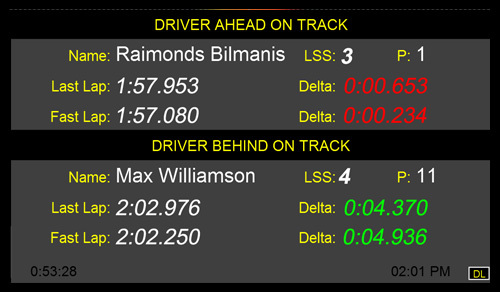 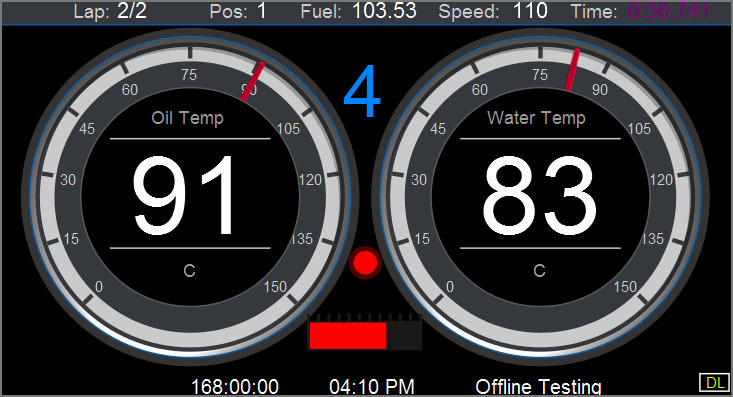 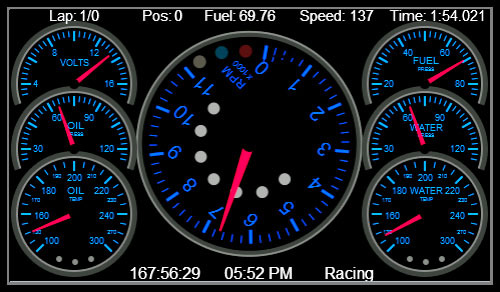 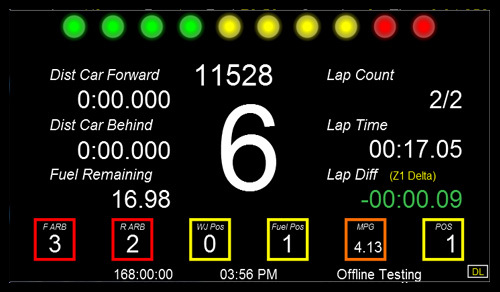 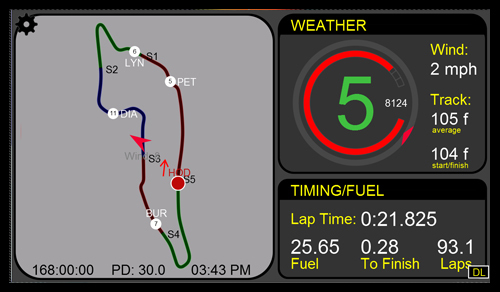 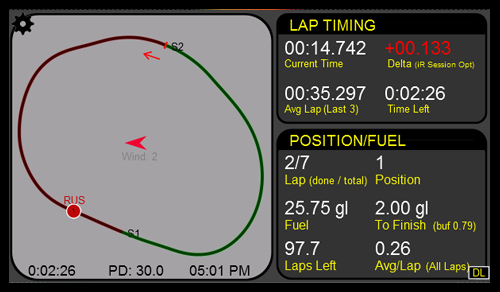 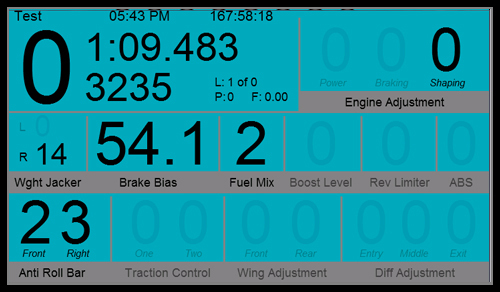 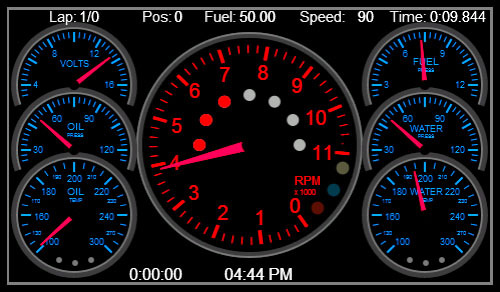 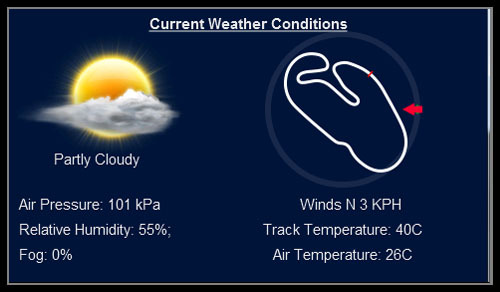 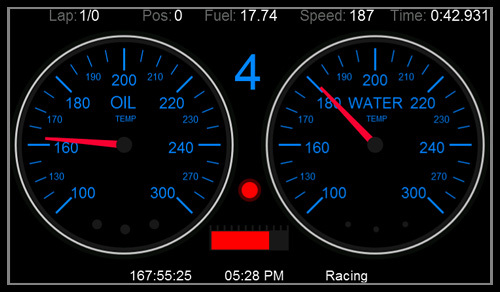 There are currently 60 dashboards for oval cars. 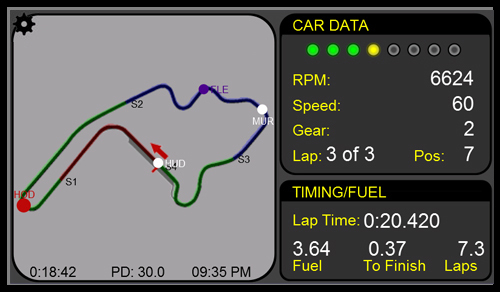 Place the mouse over an image for more information. 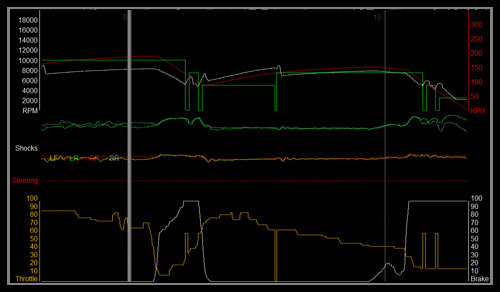 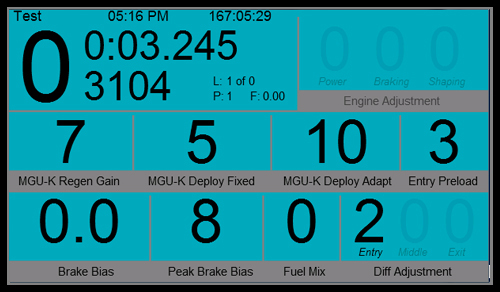 Note that not all sims support all the telemetry attributes listed here.